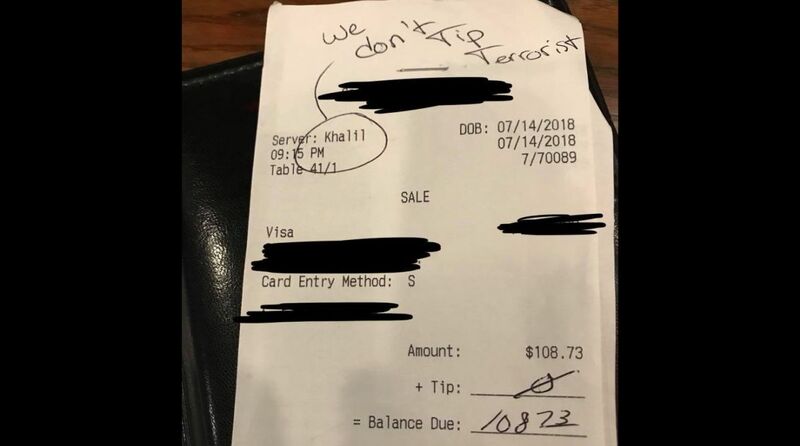 The story of Khalil Cavil, who worked at Saltgrass Steak House in Odessa, Texas, had gone viral on 19 July after he posted on Facebook a bill on which the words, “We don’t tip terrorist”, had been scribbled. Remember the Muslim waiter in the US who claimed he was called a “terrorist” by a customer because of his religion? Well, it has now emerged that he was lying. Saltgrass Steak House had then banned the customer and issued a statement from Chief Operations Officer Terry Turney, in which the restaurant stated that it would not tolerate bigotry or abuse from customers. But an investigation into the incident revealed that Cavil had cooked up the story exploiting the wave of solidarity with Muslims facing religious bias and racism to his advantage. In an interview to Odessa American on 23 July, Cavil admitted that he himself wrote the racist note but didn’t explain why. The 20-year-old, who wants to attend college in Dallas, apologised for his lie. Cavil’s admission came after Turney issued a statement on the false accusation against the customer. “After further investigation, we have learned that our employee fabricated the entire story. The customer has been contacted and invited back to our restaurant to dine on us,” Turney said. “Racism of any form is intolerable, and we will always act swiftly should it occur in any of our establishments. Falsely accusing someone of racism is equally disturbing,” the Saltgrass Steak House COO underlined. Khalil’s post on Facebook had gone viral in no time with multiple media houses across the world covering the incident while drawing attention to the regular cases of religious discrimination and racism. 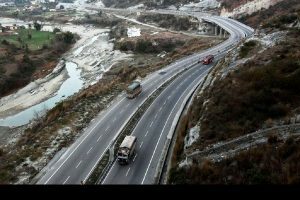 He had gone on to give interviews with local channels following the incident. The post by Khalil, which has now been deleted, had generated over 8,000 comments and shared thousands of times. It had the photo of a bill with the name of the customer obfuscated. The bill had Khalil’s name circled out with the racist words written alongside. It was then reported that the customer had failed to leave a tip on the $108 bill. Saltgrass Steak House didn’t confirm whether Khalil had been fired. Spokeswoman Colleen Wagner told The Washington Post that “he’s no longer with the company”.